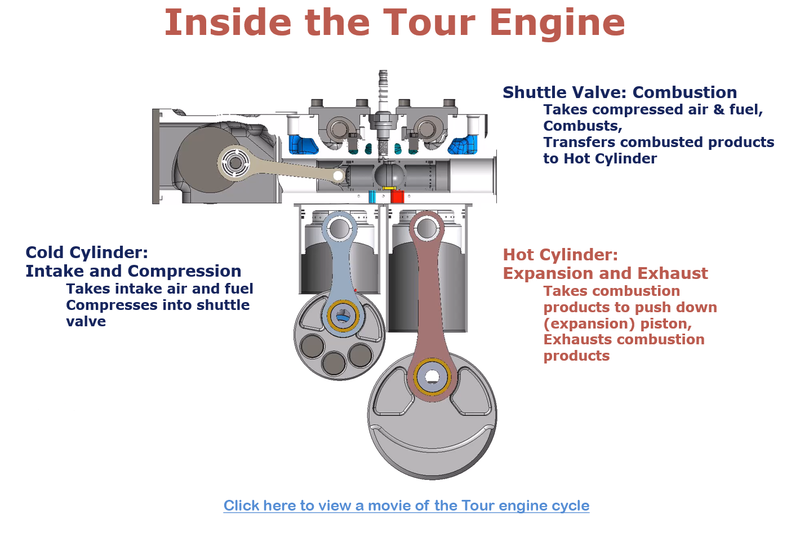 The Tour Engine is a patented, split-cycle, internal combustion engine that stands to deliver substantial efficiency gains through superior thermal management. Unlike current combustion engines, which use the same cylinder for all four strokes (intake, compression, combustion, and exhaust), Tour's patented engine design splits the conventional 4-stroke cycle between two cylinders: the cold-cylinder hosts intake and compression, and the hot-cylinder hosts combustion and exhaust. A proprietary crossover valve is used to transfer the compressed charge from the cold-cylinder to the hot-cylinder. 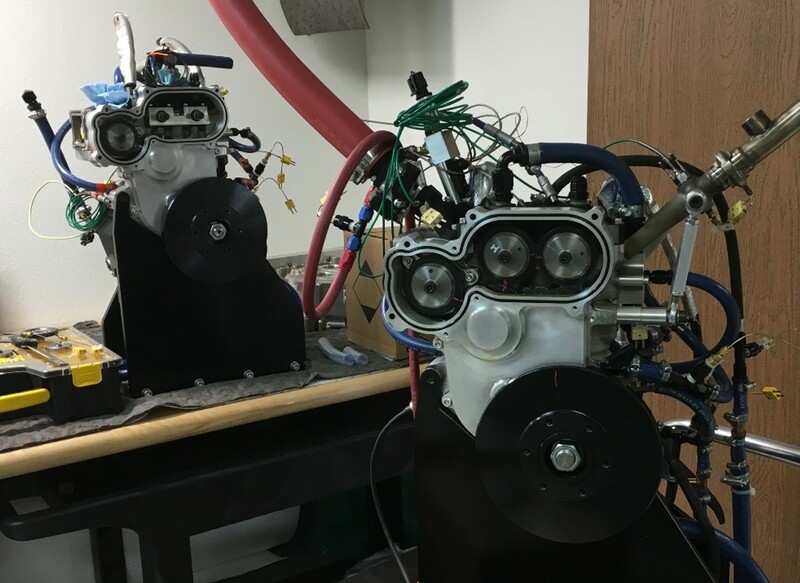 This thermal management strategy reduces the magnitude of the two major efficiency losses in conventional 4-stroke engines - heat loss to the coolant/oil and exhaust energy loss. 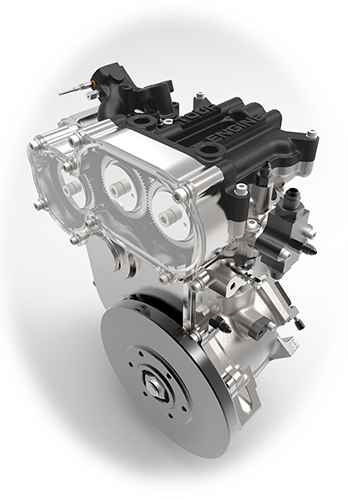 The end result is a thermally optimized engine that advanced computer simulations and working prototypes suggest can be as much as 45% more efficient; dramatically reducing both fuel costs and noxious emissions. Better still, because Tour Engines employ the same “block and piston” architecture that has been at the heart of ICEs for more than a century, they will be inexpensive to manufacture, adopt and maintain. 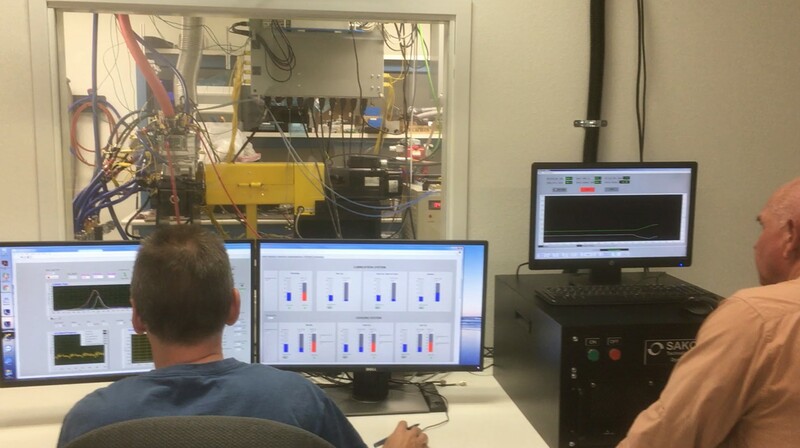 Measured pressure traces from the 1 kW Tour engine developed with support of the ARPA-E GENSETS program. The measured pressure traces illustrate the fluid transfer between cold- and hot-cylinder and follows the complete Tour cycle: The reciprocating shuttle alternately connects through the ‘Input Port’ (IP) during phase  with the cold-cylinder and through the ‘Expansion Port’ (EP) with the hot-cylinder during phase . Ignition during phase  initiates combustion at a crank angle of -6° (red arrow). During phase , almost the entire trapped mass in the cold-cylinder is compressed into the shuttle volume (blue arrow) where it combusts during phase  and expands into the hot-cylinder during phase . The induction and exhaust through conventional poppet valves occur during phases  and , respectively. 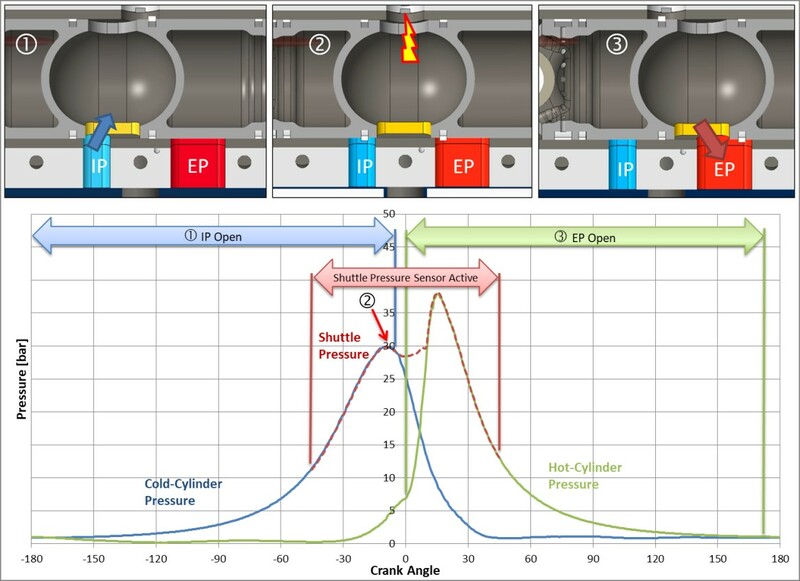 Note that there is no pressure drop during the fluid transfer through both ports as the shuttle pressure coincides with both cold- and hot-cylinder pressures during phases 1, 3. The efficiency of the split-cycle approach is significantly improved by over-expanding the gas in the Hot-Cylinder (as in the Atkinson cycle for naturally aspirated engines and the Miller cycle for forced induction engines), which has the two-fold benefit of increasing the mechanical work extracted and lowering the average gas temperature at the Hot-Cylinder (Over expansion has an advantage also of lowering the temperature differential driving the heat rejection to the Hot-Cylinder. See “Superior thermal management strategy” above). The Figure below (Panel A) depicts indicated thermal efficiency (ITE) results at a fixed speed of 2400 rpm from GT-Power simulations for three engine configurations: a 2-cylinder baseline 4-stroke engine with 1000 cc (blue, solid line), an Atkinson cycle engine (green, solid line) and various Tour cycle engines (dashed lines). A symmetric Tour engine (red, dashed line) with 1000 cc (500 cc compression/500 cc expansion) has only a slight advantage over the baseline but asymmetric (over-expanded) Tour engines gain a significant advantage up to 1500 cc (500 cc compression/1000 cc expansion). 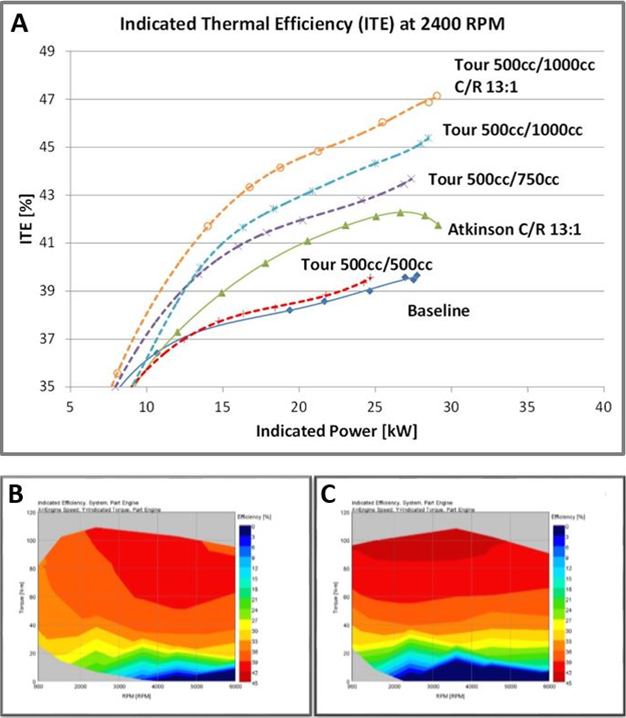 Combustion strategies similar to those used in the Atkinson cycle enabling a 13:1 compression ratio would further increase the efficiency of the Tour cycle (orange, dashed line). The results at 2400 rpm suggest that overexpansion of engines with the above stated displacements can increase indicated thermal efficiency (ITE) relative to the baseline by up to 19%, and relative to the Atkinson cycle by up to 13% depending on the specific engine configuration. In order to simulate the performance maps (shown with ITE contours) for the baseline engine (Panel B) and the over-expanded Tour engine (Panel C), a throttle was added to the models. The performance maps show a higher ITE for the Tour engine and an expanded high efficiency region across a wide range of engine speed, including low engine speeds. This is advantageous for increasing engine durability while maintaining high efficiency.